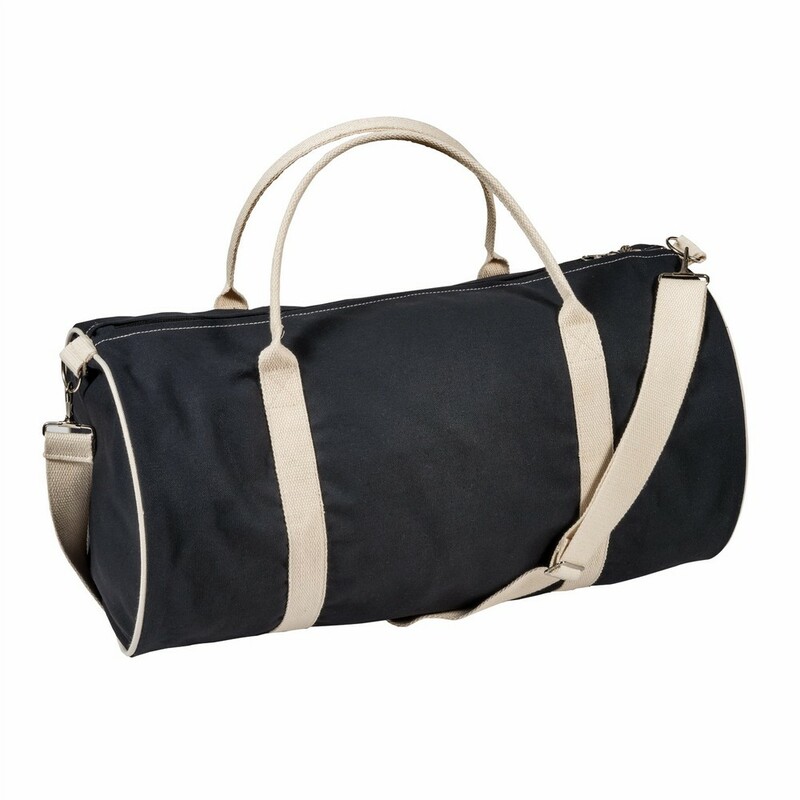 A stylish barrel shaped bag that's made from 100% cotton. 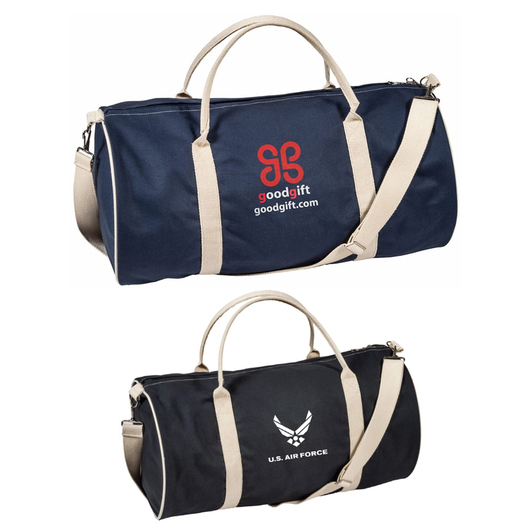 Get your brand seen on these stylish barrel bags now. They're made from 100% cotton and feature an inside pocket, large lockable zip, contrast stitching as well as an adjustable shoulder strap and carry handles. 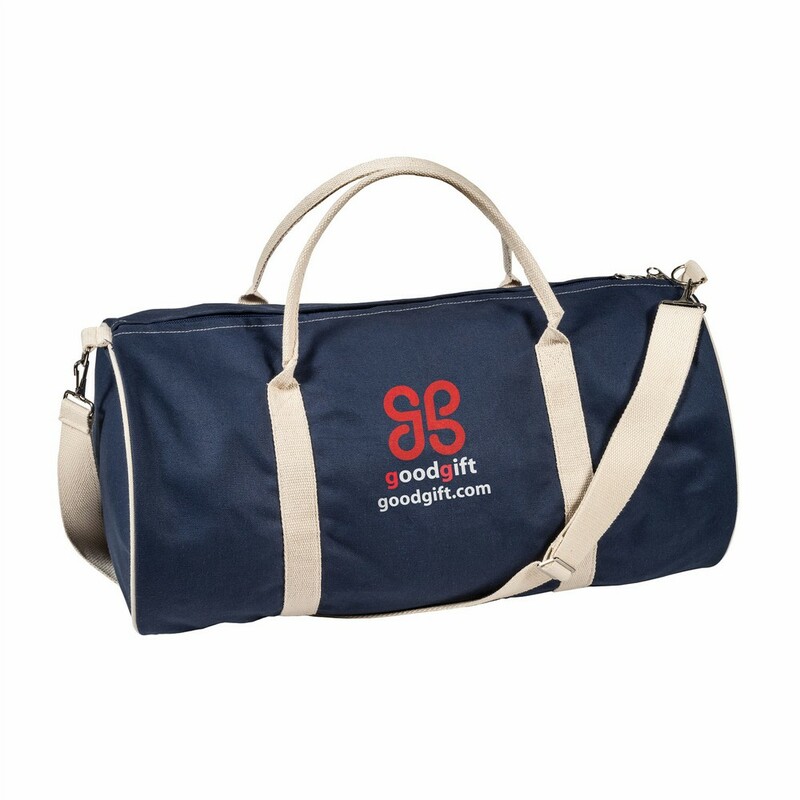 A great bag for the gym, travel and more!